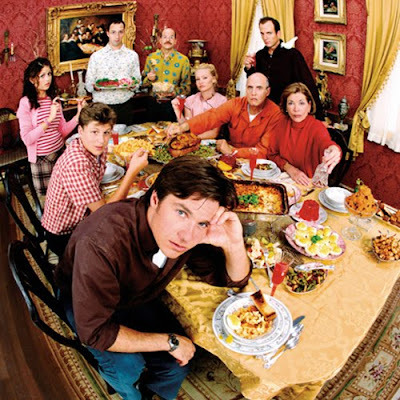 It's Thanksgiving, so let's give thanks (for TV)! It might not seem like there's much to be thankful for on TV right now, what with the benching of Community, the smaller episode order for Cougartown, and the continued existence of two (!) incoherent Ryan Murphy shows that somehow attract enormous ratings. But, in the spirit of the holiday, I found some things in the land of television for which I am truly grateful. It's really happening, people. Netflix has officially picked up a mini-season (nine or ten episodes) of everyone's favorite, brilliant-but-cancelled show to air in early 2013, hopefully followed by a movie! Our Bluths have been saved at last! 30 Rock is coming back! The silver lining in the sad Community cloud is the return of 30 Rock to the airwaves in January. I've missed my Liz Lemon, and while I certainly would have preferred that Liz, Jack, Tracy, Jenna and co. return by way of the cancellation of Whitney, I'll take what I can get to have them on the airwaves again. 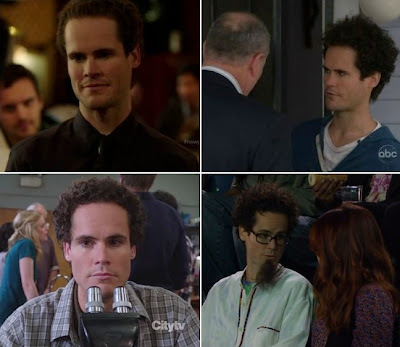 If Community and Fringe are in their final seasons (god forbid), at least they both went down in a blaze of creative glory. 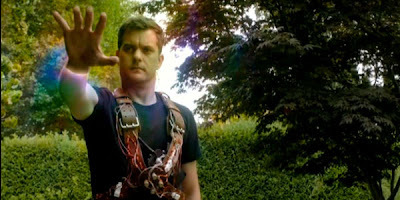 Episodes like Fringe's "One Night in October," "And Those We Left Behind" and "Wallflower" were gorgeous, twisty and beautifully resonant pieces of storytelling, while Community knocked it out of the park with "Competitive Ecology," "Documentary Filmmaking: Redux" and what may be the show's best half-hour ever, "Remedial Chaos Theory." Plus, this happened. As you are probably all aware, TVD is soapy, inventive, fast-paced and just plain fun. Along with Fringe and Community, it's my favorite show on TV. (If you watch, you understand why, and if you don't watch, don't judge.) Luckily, while the series gets ratings that would be abysmal by any other network's standards (yes, even NBC's), it airs on the CW, a network that has greenlit nine seasons of One Tree Hill. It's nice to know that at least one of my shows will be airing doppelganger hijinks and jaw-dropping twists for years to come. HBO's lavish, nuanced, dark and totally fantastic adaptation of George R.R. Martin's novels was a great example of a fantasy epic done right. HBO managed to really nail a complex fantasy epic and show the world that fantasy isn't just for nerds anymore, just as Battlestar Galactica and Fringe did for science fiction. Peter Dinklage's well-deserved Emmy for his portrayal of Tyrion Lannister was just icing on the cake. Now, can we work on getting one of those winged statuettes for Emilia Clarke? We all love GOB Bluth and Devon Banks, but nobody liked Running Wilde. So it's nice to see Will Artnett doing excellent work on Up All Night alongside fellow comedy stars Christina Applegate and Maya Rudolph. Who knew that the man known for over-the-top craziness could be such a steady, loving and totally hilarious dad? Don't let saving Community distract you from saving Fringe! 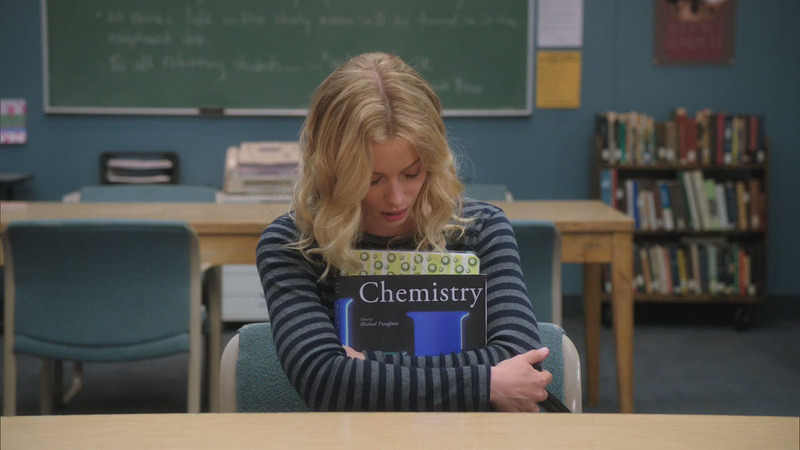 I know that everyone is focused on some extremely upsetting news we all got earlier in the week about Community. And I know that, right now, we're all really focused on banding together, saving the show, and reading the ultimate goal of six seasons and a movie. But we can't forget about the other fantastic, innovative, ratings-challenged shows on the air. Like, say, Fringe. "Wallflower," last night's fall finale, was a great episode of television with plenty of moving moments, character development, and a great final twist courtesy of Ms. Nina Sharp. Last night's episode contained some fantastic performances as well, particularly on the part of Seth Gabel. The newly-promoted series regular did great work as Lincoln Lee, a man trying to balance the twin stresses of his new job, his disintegrating worldview, and his fragile connection to Olivia. The final scene where he waits for her in an all-night diner and she doesn't show is heartbreaking, an emotion which is quickly replaced by shock when the reason for Olivia's no-show is revealed. This week's case was also beautifully handled. Some reviews criticized the Fringe team's pursuit of an escaped genetic experiment - the wallflower of the title - as being too simple, but I felt that the simplicity allowed for young Eugene's sad story to take center-stage. The poor guy just wanted to be seen - another moment that, like last week's superb central mystery, was written so that it was applicable to so many characters - and his final moments of life, in which he carries on a simple conversation with a woman in the elevator before dying, was beautifully handled. The plight of the invisible man could be applied to Lincoln, waiting for Olivia to notice him; Peter, kept from interacting with the outside world to which he doesn't belong; Walter, holed up in his lab; and, finally, Olivia, who doesn't know the real nature of her relationship with Nina, her importance as a test subject, or even why she keeps getting migraines. Unfortunately for everyone, the wallflower storyline can also be applied to Fringe itself, which continued its ratings death spiral last night. The fact that both Fringe and Community turned in some of their best episodes this week, as they rest on the brink of cancellation, is very disheartening to those of us who deeply love these shows, and who just want to see where their brilliant writers and actors can take them in the future. So, let's keep saving Community, but let's not forget about saving Fringe. Sign this petition. Join the Facebook Group. And, above all, keep watching, writing, and talking. PDPTR is now on Twitter! Lovely readers, do you get frustrated when the blog doesn't update often enough? Do you want to hear about all the shows I watch, rather than the more limited set about which I write? Do you get frustrated when you have to read more than 140 characters at a time? Well, fear not, because now you can follow @AlexPDPTR on Twitter for all the TV commentary, news, and musings you can stand (and, let's face it, probably more). So use the spiffy new "Follow" button to follow me on Twitter; if you check back tonight, you might even see some instant reactions to "Documentary Filmmaking: Redux," tonight's new episode of Community! 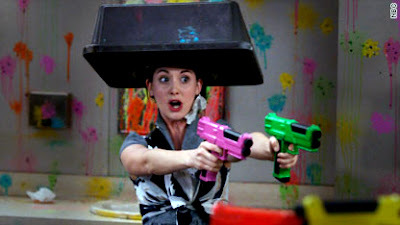 Help save Community, or Alison Brie will kill you with paintballs. Photo courtesy of cnn.com. 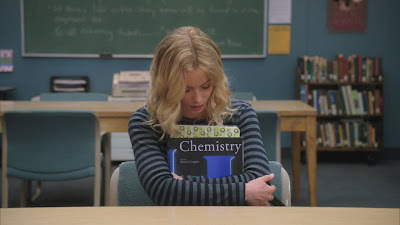 I know that, like me, many of you are upset about the recent news regarding Community; specifically, the news that everyone's favorite study group will be going on an "indefinite hiatus" after Christmas. (And, as we all learned from the most recent season of 30 Rock, this kind of "forced hiatus" means that everyone needs to start working on their back-up plans, be they stand-up comedy or substitute teaching.) Now, this doesn't necessarily mean that Community will be canceled, but it's not good. At all. However, there are things you can do about this! First of all, you should visit save-community.com, sign their petition, and then browbeat all your friends until they do the same. (If you're a Community fan, I'm sure they're used to it by now, and they'll probably just sigh quietly and do what you ask.) Then - and this is the most important part - sit down in front of your TV on Thursday at 8:00 and watch the show. Watch it live, on television, if you can; if not, watch it on Hulu or buy it on iTunes. Do everything you can to let NBC know that you watch the show and that you love it. You can also send letters to NBC. Seriously. If they start getting enough letters, there is always a chance it will have an effect. Write to the network (yes, write, with a pen, on paper), and tell them why you love the show. Tell them about your Community Halloween costumes, viewing parties, blog posts, anything. Show them that you care. 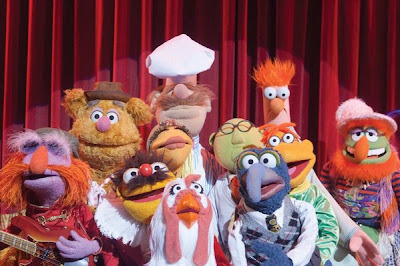 You may not think it helps, but knowing that the show has a fervent, invested fanbase is the sort of things that network executives (sometimes) take into account. Just read Maureen Ryan's piece about Community if you don't believe me, and send a letter to NBC Entertainment Chairman Robert Greenblatt, care of NBC Universal, 100 Universal City Plaza, Universal City, CA 91608. So, put on your darkest timeline felt goatees, and let's get to work! I already have. 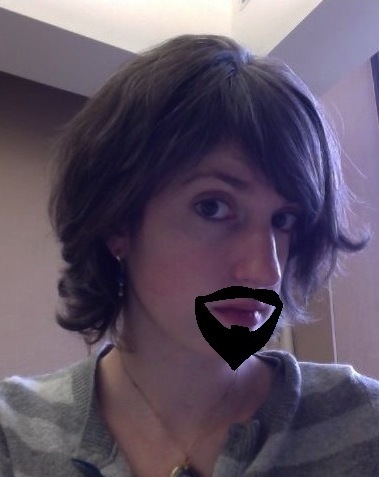 Watching the show and writing letters might be more important, but darkest timeline goatees are FUN. I want to sing karaoke with Joel McHale! Was Jeff and Dean Pelton's (sorry... Craig's) karaoke duet to Seal's "Kiss From a Rose" on Thursday night's Community the best musical moment in the history of television? Yes. It obviously was. 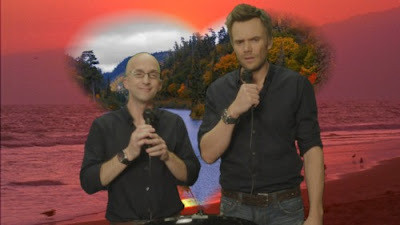 Not only do you have Joel McHale and Jim Rash singing their hearts out to a slice of pure pop cheese (one from a Batman movie, no less), but the scene also featured Troy and Abed playing with shadow puppets, Britta and Shirley slowly realizing that the hitchhiker they've picked up might be a serial killer, and Chevy Chase hallucinating. It can't be topped. Glee tried to pull the old misinterpretation-of-the-song trick last season, but all the cool people know that the late, great AD did it first, and did it better. First Michael and Maeby, and then Lindsay and George-Michael, decided to duet on Starland Vocal Band's ode to daytime lovin', not realizing the lyrical content of the song was far from the wholesome, innocent message implied by the melody. In classic Bluth family fashion, hilarity and horror ensued, and it was glorious. Scrubs has featured a number of great musical moments over the years, from Ted's band's performances to the musical episode, but I have a soft spot for Turk's rendition of Safety Dance. He only sings a few bars, but the song is at once unexpected and perfect for the moment, and Donald Faison's delivery is phenomenal. As the fourth season went on, the use of Dylan's classic tune as a plot point began to grow wearying and nonsensical. There were too many instances of forcing song lyrics into the dialogue (hint: no one has ever used the phrase "There must be some kind of way out of here" in casual conversation) and too many random coincidences (apparently the chord structure spells out the coordinates to Earth? I don't even know any more). But it can't be denied that the moment when Saul Tigh, Chief Tyrol, Anders and Tory Foster all gave in to the music echoing in their heads and realized what they were was shocking in the best way. Not to mention the final scene of Season 3, where the song plays over a gorgeous visual of the camera zooming out from Lee Adama's bewildered face, racing into space, and closing in on Earth. Blythe Danner and Richard Schiff as Reagan's parents in "Parents." Up All Night started out promising, but a little rough. The show hadn't quite figured out what tone it wanted to strike, veering between the realism of Reagan (Christina Applegate) and Chris (Will Arnett) learning how to cope with parenthood and the zany, 30 Rock-esque antics of Maya Rudolph's Ava. Last night's "Parents" still suffered a bit from sudden shifts in tone but, despite a few flat moments in the Ava storyline, the episode was a great example of how the series is coming into its own. "Parents" was excellent in large part because the episode dealt with a relatable subject: the tense, regressive relationships that often spring up between parents and their adult children. Tension between parents and children is hardly something new on TV - I talked recently about the toxic parents of The Big Bang Theory - but Up All Night, as usual, presented a lovely, nuanced portrayal of Reagan's relationship with her mother Angie (Blythe Danner). Watching Reagan act like a teenager whenever her mother appeared was not only funny, but an honest depiction recognizable by anyone who has been held to a curfew when home from college. Reagan diving behind the couch and sobbing into a pillow that no one understands her were hilarious, but they were also instantly identifiable to anyone who has been in a similar situation. It helped that Danner's portrayal of Angie showed that she was a problematic woman without being unsympathetic. The character could have been Dr. Beverly Hofstadter, but rather than playing her as an ice queen Danner chose to play her as a somewhat selfish and pompous, but still caring, mother. It helped that her relationship with her husband, Richard Schiff's Dean, was warm and relatable. Dean's gentle ribbing of his wife's continued insistence that the party thrown for her book release was "embarassing" was a beautiful example of the way this show understands the interaction between long-term couples. This understanding comes up in Chris and Reagan's relationship as well. The moment when Chris points out to Reagan that the reason no one understands her is because she's talking into a pillow is both funny and comforting, showing the ease of the couple's relationship and the way they rely on each other. My favorite moment in the episode, however, had nothing to do with either Reagan or Angie. That's not because I didn't love their character arc, but because Arnett and Schiff did such a beautiful job with the scene where Chris confides in Dean about his newfound fear of death (the result of an expiration date on a lifetime subscription to Sports Illustrated). Dean, a therapist, doesn't try to counsel Chris or talk him out of his fear. Instead, he opens up and, in a lovely moment of catharsis for both characters, confesses that death terrifies him, and reveals his solution: alcohol. The scene is played for laughs, but neither Arnett nor Schiff goes over-the-top with their performances, imbuing the moment with a real poignancy. As usual, the rough spots in the episode were centered around Ava. Her scenes weren't all bad - in particular, her reminder to Reagan that her mother could be a lot worse was great, and Rudolph's delivery sold the line about her mother's partner, a jazz drummer called the Captain - but her complete inability to remember anything about her crew seemed overly detached, even for Ava. Dale's death montage was certainly funny, with its repetition of the one picture of the dearly departed sound technician and shots of his W-4 form, but Ava's insistence on singing over the montage seemed oddly tone-deaf (figuratively, not literally). "Parents" showcased how well the show can mix humor with realism; if only it could figure out how to mix Chris and Reagan with Ava. *I apologize for the forced Will Smith reference. It's late, and it just happened that way.